Cheaper than a plane ticket. Target has long been our go-to for stylish and affordable decor, and lately the mega retailer has been blowing our minds with their globally inspired home goods. So if a jaunt halfway across the world isn’t on the docket for this summer, at least you can spice up your space with a few unique finds at a fraction of the price. 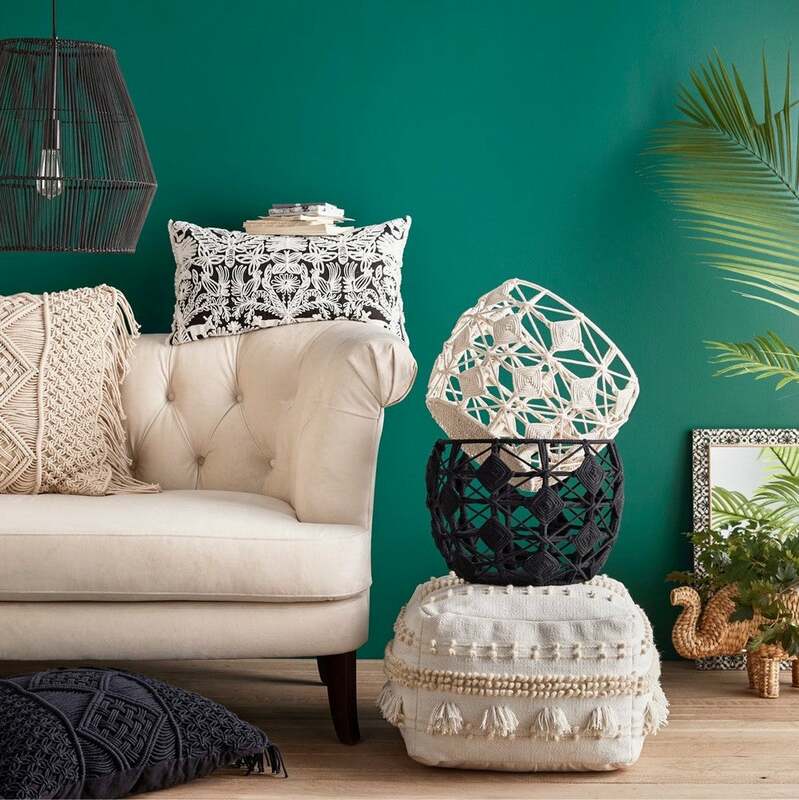 From chic wall hangings to woven baskets to vibrant maximalist pieces from Target’s new Opalhouse line, these items are guaranteed to give your home some wanderlust flair—and did we mention that they all ring in at less than $30? Upgrade your floors for cheap with this tasseled rug. Handmade from a blend of jute and cotton, it adds both texture and color to any part of the home in a small but effective way. It’s in the name itself: Bring a bit of Amalfi stateside with this set of four vibrantly hued ceramic mugs. Each one feels totally unique—almost like you purchased it in a tiny little Italian boutique—but is still complementary to the rest of the set when you need to craft a put-together tablescape. Need somewhere stylish to store your throw blankets and pillows? Try a simple cream bin like this cool macrame basket. The design is a bit more interesting than your standard natural woven basket, and won’t detract from the room’s existing color scheme. If you can’t get to the tropics, bring the tropics to you. A botanical print is a great way to incorporate a bit of global influence (especially if you live in a tiny city apartment) into your home. We especially love the fact that this particular wallpaper is temporary, so you can try a new look out without the commitment. Liven up a drab old sofa or armchair with this playful textured throw pillow. Tassels and woven rope detailing add a fun finishing touch to this decorative piece. Bare walls can be a little bland. Jazz them up with a wall hanging—like this geometric gem, constructed with wood and blackened metal. This giraffe figurine looks like something you picked up at a market in Namibia. We won’t tell anyone you scored it at your local Target store. Fill this striped wicker serving bowl with a batch of homemade scones, and give it as a hostess gift—or keep it for yourself (we won’t judge). This beautiful, textured blanket is sure to take your sofa style game to the next level. Bring it outdoors to keep warm on chillier summer nights spent on the patio. The subtle gold tones of this three-piece sea urchin set will add glamour and global ambiance to your beach home. Give your go-to chair or even your bed a mega dose of charm with this Andes-influenced rectangular pillow. This story was originally published June 25, 2017. It has been updated with new information.